Discussions Magazine Music Blog: Cocteau Twins' ROBIN GUTHRIE returns! Cocteau Twins' ROBIN GUTHRIE returns! 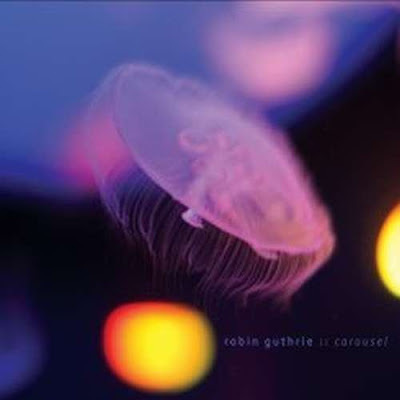 Robin Guthrie releases a new album of filmic, intricate instrumental music Carousel, the follow up to the critically acclaimed instrumental albums Continental and Imperial. We have a few words to describe Carousel – uplifting, summery, opulent, dreamlike, exquisite, moving – with Guthrie quietly coaxing beauty out of layers of echoes and always inventive soundscaping. Guthrie has been a massive influence on everyone from My Bloody Valentine through to Antony and the Johnsons, new 4AD Act The Big Pink and M83. In recent years he's worked with School Of Seven Bells, John Foxx (on this year's Mirrorball album, described by Q Magazine as 'full of myriad charms . . . encompassing the best of both artists'), Ulrich Schnauss and Harold Budd (with whom he made two albums in 2007, Before The Day Breaks and After The Night Falls).